Here are some are some of our volunteers with the recently unveiled Memorial to all those who served at RNLI Station Seaham between its opening in 1870 and its closing in 1979. Sunderland Maritime Heritage for their attendance and Jack Crawford presentations with the model of HMS Venerable and opportunities to try a number of shipyard trades. Children of all ages enjoyed the Victorian/Edwardian games brought along by Helen Barker and her team from Beamish. One EDHG member spent most of the day enjoying stilt walking while others thought discretion was better to avoid injury to their aged limbs. Murton Colliery Band played a very enjoyable selection of music in two sessions it is a great pity they could not perform more regularly at the Marina. David Hastings from the RNLI fundraising team was as in previous years and confused the many visitors with his seemingly impossible to solve puzzles. Solutions where however available for a donation. Stormy Sam the RNLI mascot also made an appearance much to the amusement of children and a number of adults although his actions were frowned upon when he tried to eat Allan Brooks icecream. 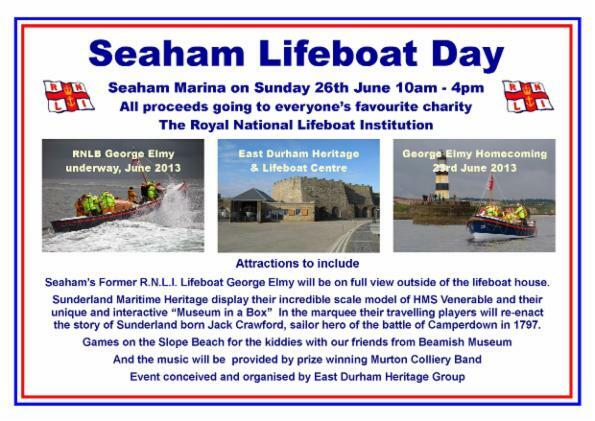 The main attraction was of course Seaham RNLB George Elmy which was moved out of the boathouse for all to have a closer look. Please see our Hot News page for the latest developments. 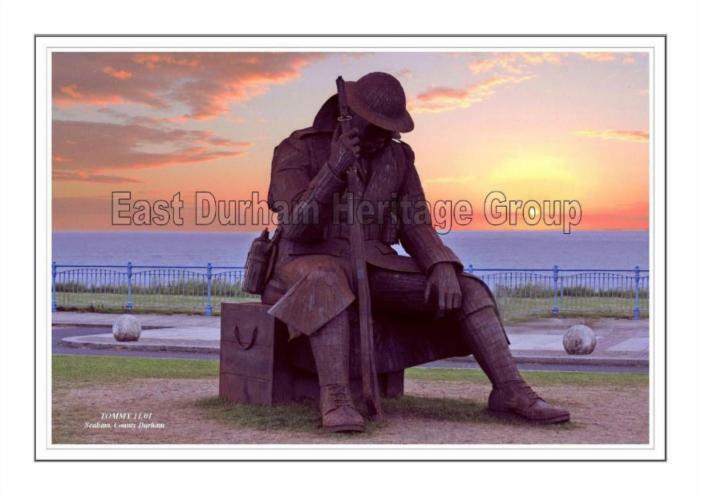 If you have an interest in local history and heritage and have time on your hands, perhaps 2, 3 or 4 hours a week, we'd like to hear from you, we are seeking enthusiastic volunteers to help to staff the East Durham Heritage & Lifeboat Centre which is open from Thursday to Sunday within the Seaham Harbour Marina. We look forward to welcoming all visitors to the Heritage Centre to enjoy our heritage and lifeboat related displays. While we endeavour to adhere to the opening hours listed above we are subject to the availability of our unpaid volunteers and on occasions we may be unable to open and apologise for this. 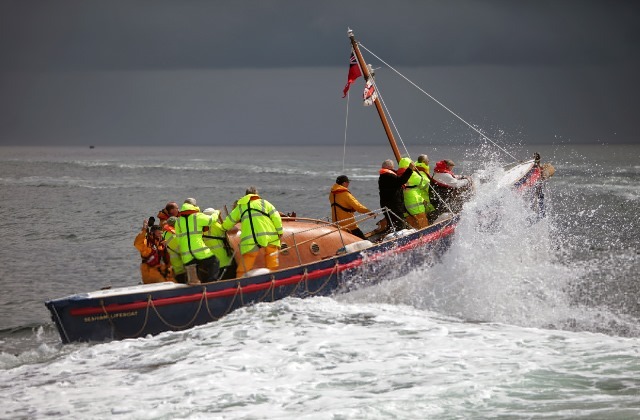 The group are keen to recruit enthusiastic, heritage minded volunteers to help run the Heritage & Lifeboat Centre and perhaps extend the days on which we are open; if you can commit to a few hours a week then please come along during opening hours or contact our Chairman, Geordie Maitland. From the A1(M) Travelling from the north or south exit the motorway at the A690 Durham and Sunderland junction and travel towards Sunderland before turning to head south on the A19. 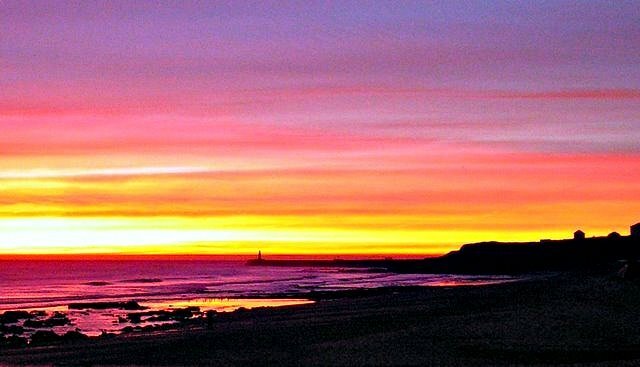 Travel south and exit the A19 on the slip road heading for the A182 and turn left towards Seaham, follow the A182 to the coast, you will pass ASDA Supermarket on the left, at the next roundabout with Barclay's Bank on the left turn right to enter the Marina. 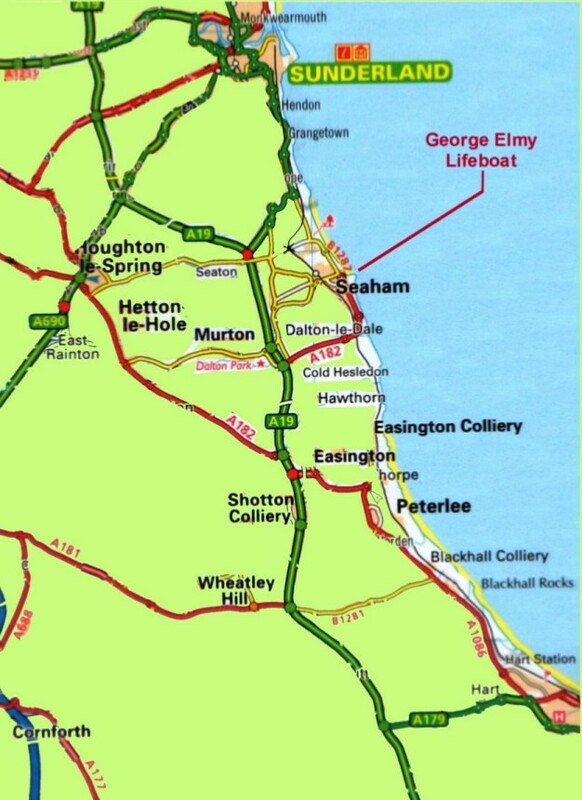 From the A19 Northbound: leave the A19 northbound at the A182 junction for Seaham immediately after the Hawthorn Services. At the top of the slip round turn right over the A19 towards Seaham and proceed past ASDA on the left to the next roundabout with Barclay's Bank on the left and turn right to the Marina.